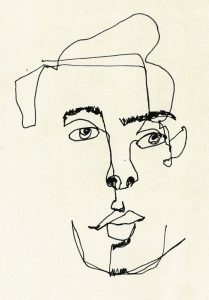 Developed by Kimon Nicolaides in 1941, the blind contour drawing method is a teaching exercise for artists to learn and develop more accurate drawings. Students can learn to draw what they see, rather than what they think they see, by first observing the contours and shapes of an image. Students then draw the image on paper in a continuous line without ever looking at the paper. The class is open to beginners, or more advanced artists who wish to refresh their drawing skills. All Supplies are provided, ages 16 to adult are welcome. Theresa Dawson is a member of the Lost Pines Art League, and is known for her beautiful paintings of horses and western motifs. She is currently showing in the Studio E Gallery at the Art Center.